Political Campaign Text Messages Work! As technology in society evolves and progresses, political marketing strategy must adapt and move with its current. Through the thick of today’s numerous and increasingly creative political marketing strategies, there is one frontrunner changing the game. Political Campaign Text Message Marketing is setting a new standard, and it’s time for you to get on board. You’ve seen the familiar call-to-action catchphrases splayed across banners, billboards, yard signs or even t-shirts. It has almost become commonplace. “Text THIS CODE to THIS NUMBER to find out more!” Campaigns are increasingly migrating from traditional forms of outreach to SMS messaging, and it’s because it works. Gaining traction not too many years ago, text message campaigns are wildly successful. American Idol has broken records with its text message campaigns to increase engagement with the show and collect votes for contestants. During the show’s first season using text-to-vote, American Idol received 7.5 million text messages from viewers, proving that text message marketing is here to stay. In 2008, United Way launched the first mobile fundraiser campaign and raised a whopping $10,000. Today, text message marketing for political campaigns is the next milestone in the history of texting. The main goal is to take advantage of the tool that most people in the digital age have in their pockets. Political campaigns primarily use SMS messages to answer voter questions, give updates and information on campaign events, promote fundraisers, and even send out intra-campaign communications. These functions are extremely useful and have saved countless campaigns time and money. However, there are a few ways text message marketing can be used that you and your campaign will benefit from the most. Here are 5 of the most effective ways to utilize text message marketing. Voters must opt in to receive text messages from campaigns through either filling out an online entry form or texting in a keyword to a short code. 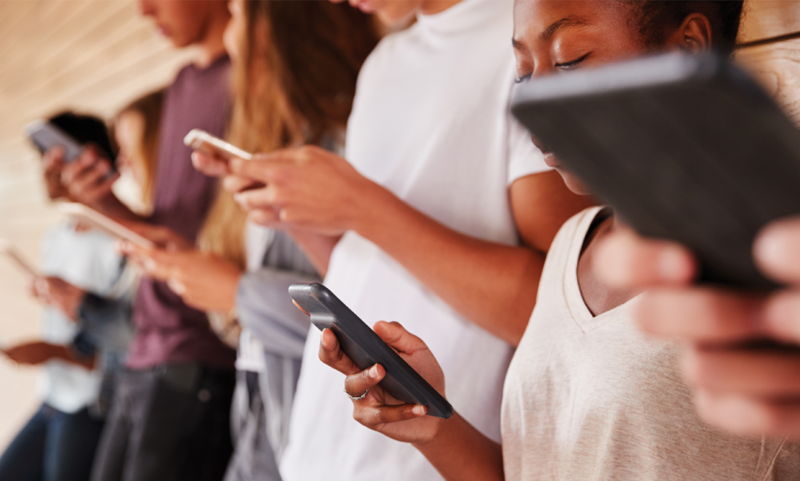 Campaign staff members and volunteers are then able to text and connect with voters in a way that’s quick, low-pressure, and effective, all while reaching a wide audience. You might have even texted in a keyword or two to a short code for a cause that you were passionate about or for a contest you wanted to win. This most likely gave a campaign simply your number and consent to receive text messages; however, many campaigns in shortsightedness miss out on the opportunity to gather valuable voter data at the initial opt in. During the opt in process, be sure to collect information from the voter such as name, zip code, email, demographics, and any other appropriate information relevant to your campaign. By gathering this information right away, your campaign will be able to use the data to its advantage by creating more focused marketing strategy. Learning more about your base will give you the opportunity to personally assess their needs. In the long run, you’ll be able to represent them in the best way possible. The casual nature of texting might give your campaign a better rate of responses. Most people would be willing to offer information during an initial sign up rather than days or months later, especially if it’s just over text. However, don’t treat this effortless collection of data as an afterthought. Initial data collection will give your team the opportunity to use the information as soon as possible rather than trying to scrounge for data too late in the game. While many campaigns focus solely on the logistical benefits of text message marketing, such as gathering volunteers and signaling campaign updates, SMS messaging can also offer a way for your candidate to receive feedback and to spark two-way communication with a voter base. Through sending out a mass SMS text to your list of subscribers with a question or poll, voters can respond with valuable feedback for your campaign. Depending on how you set up your polls and surveys, your campaign will be able to send automated responses triggered by keywords in your subscribers’ poll and survey answers. Some Political SMS messaging services such as SMS Connect even offer live employees who can converse with your voter base to not only monitor incoming data, but make your subscribers feel heard, and further educate them on your campaign’s platform. The beauty of SMS is in its casualness. When filling out an online form or talking to a campaign bot on the phone, voters aren’t given a sense of authenticity. However, exchanging SMS messages with someone from your campaign can give them an entirely different impression. A true human interaction via text message is how your platform can become relevant to a potential voter. By having a real conversation with voters, your campaign can convey a sense of passion and genuine interest that can’t be found in the same way anywhere else. SMS for event management can turn rallies, debates, town halls, and fundraisers into cake walks. Using SMS Marketing, your campaign will not only be able to get the word out about campaign events, but gather feedback and a ballpark headcount as quickly and efficiently as possible. First, engage with your subscriber in a quick, direct manner and don’t beat around the bush. If you’re using SMS for practical purposes, make sure to keep it short and sweet for maximum engagement. A question, such as “Will you be in attendance at our event on Friday, August 24th at 8:00pm? Please RSVP YES or NO” will usually do the trick. 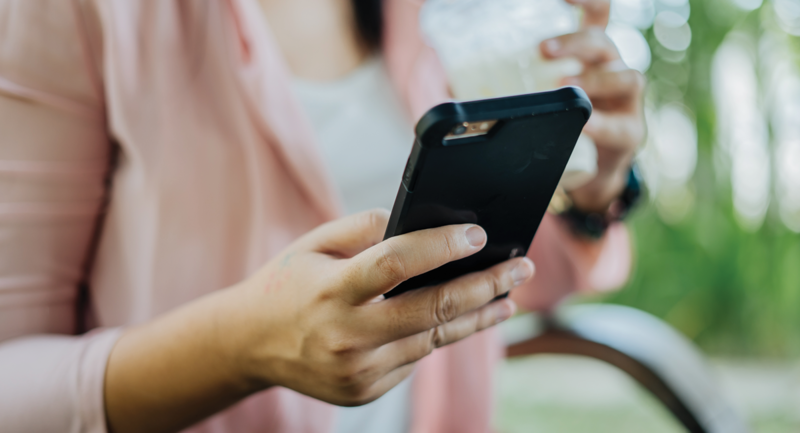 Through setting up an RSVP campaign, you’ll be able to monitor and track the general interest in your event or fundraiser, using the responses from your initial SMS message. You’ll also want to make sure that you provide recipients with a clear and convenient way to respond. While text messaging is convenient, RSVP campaigns can quickly become complicated if you don’t provide clear steps through well-worded text messages. Make sure to put yourself in the shoes of the voters. Avoid blowing up your subscribers’ phones with too many updates or requests. While reminders are helpful, periodically ask yourself: if I were a subscriber, would this message be a nuisance? People can find any reason to block you. You’ll want to ensure that your messages are enhancing their experience with your event. Use SMS to send them reminders for the place, date and time of the event. You can even send updates on the day of the event, to help them prepare for weather, large crowds, parking, etc. You can also ask for feedback after the event is over to improve and increase attendance at your next event. Similar to managing events, SMS messages can help your team recruit volunteers for your cause. Through setting up automated responses triggered by keywords, you will be able to gather and identify volunteers. You’ll also be able to walk them through your campaign’s volunteer sign up process step-by-step. It all starts by sending an invite to a volunteer via SMS message. These recipients will be able to respond with affirmative keywords that you can set up (YES, Y, etc). From there, you will be able to direct them to a website for more information, connect them to a contact to get started. Even get their address to mail campaign materials. Using SMS, your cause can be mobilized in less time than it would take to make a cold call. Texting to get volunteers expedites any tedious registration process, and makes getting involved much easier and even fun. Text-to-recruit can also enhance engagement overall because of its convenience. Some people don’t volunteer simply because they don’t know where to start. By using SMS to recruit volunteers, you’ll be able to recruit people who you wouldn’t have been able to find anywhere else. Instead of waiting for volunteers to come to you, you can go to them. No matter how strong your platform or how innovative your campaign strategy, your efforts won’t matter, if your base doesn’t turn up to the polls on election day. Through a simple text message, your campaign can remind voters to, well, vote! Using quick SMS messages, your campaign can easily guide voters through the entire election process. You can provide resources on how to register, locations where to vote, and relevant information concerning the election. Using text messages in any capacity will greatly benefit your campaign. However, centering SMS marketing strategy around ways that will benefit the voter will forge those strong connections your campaign craves. Stronger connections mean a stronger presence on Election Day. While the conventional methods of marketing for politics are tried and true, any seasoned politician knows that thinking outside of the box is what gets attention and wins elections. You can be ahead of the curve. In a society where smartphones are king and text messages are the height of communication, SMS marketing is the logical next step for your campaign. So what are you waiting for? The most powerful marketing tool of this generation is within your reach. Start typing!